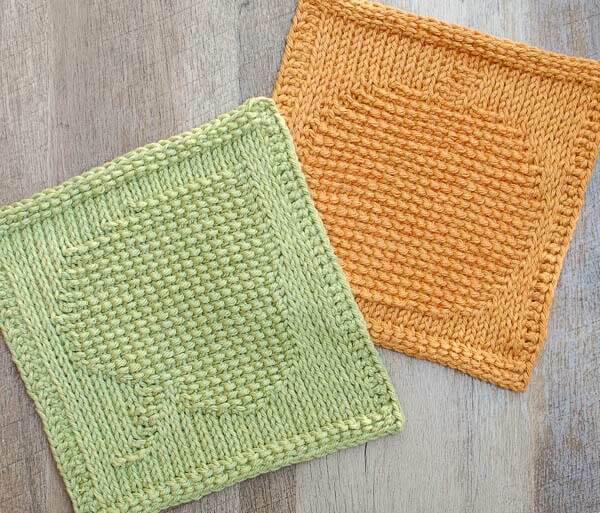 This pretty little pumpkin dishcloth makes for a charming addition to your kitchen decor … and it makes the perfect Autumn Set when paired with the Leaf Tunisian Dishcloth Pattern I shared last week. 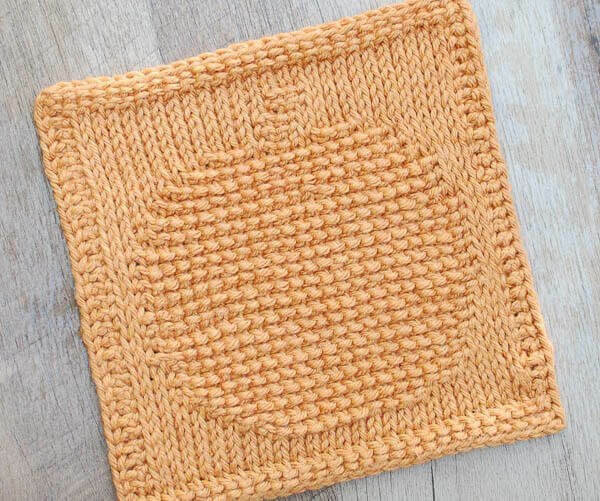 And if you are new to Tunisian crochet or just feeling a bit rusty, you can check out my free series Learn Tunisian Crochet in a Week! 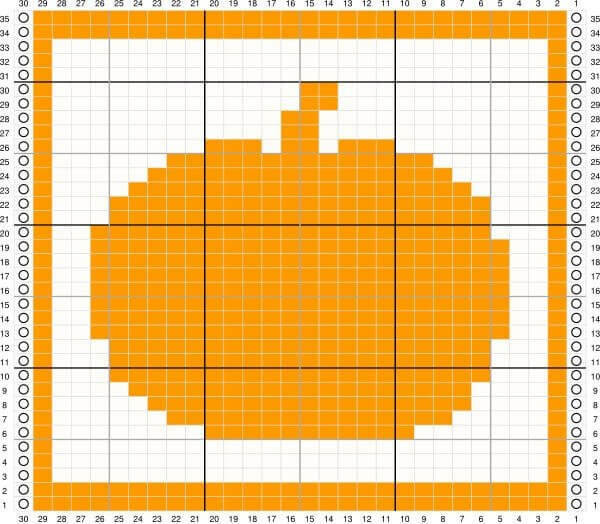 KEY: Circle = first/last stitch; Orange = Trs; White = Tks. Been eagerly awaiting this! I have made one of the leaf ones and started on another. I love it! These patterns look like fun. 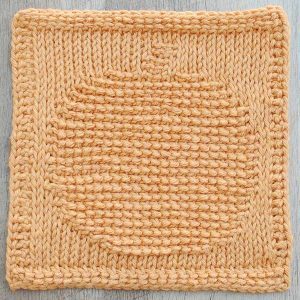 I’m looking forward to giving my Tunisian crochet skills some needed practice. Thanks so much for sharing them!